Microsoft in a blog post announced that future Windows 10 OS updates will now utilize more of your computer’s storage space in addition to the regular storage space reserved for the OS. The company is taking measures to ensure that Windows 10 computers will always be able to upgrade automatically. 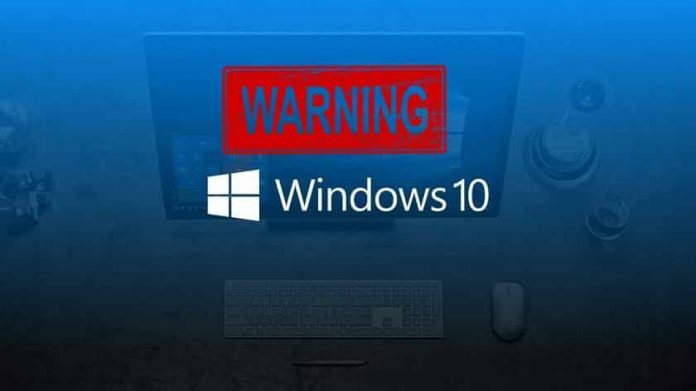 Microsoft program manager Jesse Rajwan in a blog post said that the additional storage exclusive for OS update would be taken from Windows 10 users’ hard drives, which will be around 7GB. This will be in addition to over 20GB of storage space that the OS version usually takes for storage. “Through reserved storage, some disk space will be set aside to be used by updates, apps, temporary files, and system caches. Our goal is to improve the day-to-day function of your PC by ensuring critical OS functions always have access to disk space,” says Rajwan. “When it’s time for an update, the temporary unneeded OS files in the reserved storage will be deleted and update will use the full reserve area. This will enable most PCs to download and install an update without having to free up any of your disk space, even when you have minimal free disk space,” Rajwan added. In addition, the reserved storage feature will be “introduced automatically on devices that come with version 1903 pre-installed or those where 1903 was clean installed.” However, the reserved storage will not apply to those updating to 19H1 from a previous version. In the blog post, Microsoft also suggests two methods that users can use to reduce the amount of reserve storage on Windows 10 PCs and laptops once the feature is rolled out. First, users can opt to uninstall optional features by going to Settings > Apps > Apps & features > Manage optional features. Second, users can opt to uninstall language that they don’t need by going to Settings > Time & Language > Language. The Windows 10 update announcement is certainly not good news for users as it comes after the failure of October 2018 update 1809. Back in October 2018, Microsoft had to pause rollout of update 1809 after users had started complaining of data loss. Further, in November 2018, Windows 10 Pro users reported being downgraded to Windows 10 Home after downloading an update. What do you think about the Reserved Storage feature? Do let us know your thoughts in the comments section below. Windows and or the people who work on it are either dumbed down or are being dumbed down. There is something really strange about Microsoft. I thought MS said you only need 32gb for Windows 10. So they are taking 27 of the 32 gb for themselves? This makes it tough on the millions of people that rely on Microsoft for their computers’s operating systems where their HD is ing at 98% full. If Microsoft can allow users to uninstall these optional packages, they need to make everything which doesn’t cripple the OS optional.